Longside Primary School was named as the winners of the J Rock competition held last night in Aberdeen. The event at The BHGE Arena attracted a large audience and was supported by a number of special guests and sponsors. Longside School's performance of '11' was chosen as the winner by a panel of expert judges. Maud School came second with its performance 'Your diagnosis does not define you', followed in third by Mintlaw Primary School with 'Make A Change', and Crimond School came fourth with their performance 'Universe of Unity'. Director of Education and Children’s Services for Aberdeenshire Council, Laurence Findlay, and first place prize presenter said: "I'm delighted once again that so many Aberdeenshire schools are taking part in J Rock and Rock Challenge. It’s been a fantastic evening, the young people, the staff, the communities put so much into this, and it’s a great experience and a great opportunity for the young people." Aberdeenshire Council Award of Excellence for Choreography - Turriff Cluster Primary Schools, Longside Primary School and Maud School. Aberdeenshire Community Safety Partnership Award of Excellence for Performance Skill - Turriff Cluster Primary Schools and Longside Primary School. NHS Grampian Endowment Fund Award of Excellence for Stage Use - Crimond School, Turriff Cluster Primary Schools, Longside Primary School, Mintlaw Primary and Maud School. Securigroup Award of Excellence for Concept - Crimond School, Longside Primary School, New Deer Primary School, Mintlaw Primary, Udny Green Primary School and Maud School. Aberdeenshire Council Award of Excellence for Drama - Longside Primary School, Meikelmill School, Mintlaw Primary, Udny Green Primary School and Maud School. Aberdeenshire Community Safety Partnership Award of Excellence for Soundtrack - Crimond School, Longside Primary School, Mintlaw Primary and Maud School. NHS Grampian Endowment Fund Award of Excellence for Set Design and Function - Crimond School, Longside Primary School, New Deer Primary School and Maud School. Securigroup Award of Excellence for Costuming Character - Crimond School, Longside Primary School and Maud School. Rock Clothing Award of Excellence for Visual Enhancement - Crimond School, Longside Primary School, Meikelmill School and Maud School. 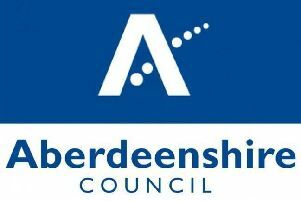 Aberdeenshire Council Award of Excellence for Entertainment - Crimond School, Turriff Cluster Primary Schools, Longside Primary School, Meikelmill School, New Deer Primary School, Mintlaw Primary, Udny Green Primary School and Maud School. John Gordon Charitable Trust Award of Excellence for Lighting - Longside Primary School and Turriff Cluster Primary Schools. Rock Challenge Award of Excellence for Stage Crew - Maud School, Crimond School, Turriff Cluster Primary Schools, Longside Primary School and Mintlaw Primary. Securigroup Award for Spirit of J Rock - Meikelmill School. Aberdeenshire Community Safety Partnership Award for Performers’ Choice - Longside Primary School. J Rock Award for Achievement in Drug Awareness - Mintlaw Primary School. J Rock Award for Student Leadership - Crimond School. J Rock Award for School Community Support - Meiklemill School. J Rock Award for Healthy Lifestyle - New Deer Primary School. J Rock Award for Cultural and Educational Achievement - Maud School. J Rock Award for Positive Inclusion - Crimond School. J Rock Award for Parental Involvement - Turriff Cluster Primary Schools.